NRAAM Starts Off With a pffffttt. The American Suppressor Association (ASA) hosted their third annual media day in tandem with the NRA Annual Meeting & Exhibits in Louisville, Kentucky, today – one day ahead of the exhibit floor opening to attendees – and the GunLink team was there to take part in the invitation-only event. The Media Day event, held at Knob Creek Gun Range, was an excellent opportunity to get hands on experience with some of the newest gun mufflers on the market. Now is a great time to buy and own NFA items like suppressors, despite some of the new hurdles placed in front of some owners by the 41F ruling. The ASA touts itself as the unified voice of the suppressor industry with a mission “to unite and advocate for the common interests of suppressor manufacturers, distributors, dealers, and consumers” by lobbying at the state and federal levels, educating the public, and providing industry research. 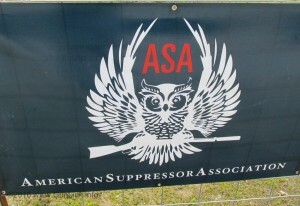 ASA’s main objectives include raising public awareness, relaxing ownership laws in the 9 remaining states which do not allow private ownership, relaxing hunting regulations that prohibit the use of such hearing protection equipment, and fixing issues with the NFA – including the bottlenecks that result in lengthy wait times. Among the industry participants at the event – which featured live fire demos – were Advanced Armament Corp. (Booth 3947), Daniel Defense (2401), Gemtec (2819), Liberty (4561), Sig Sauer (5333), SilencerCo (2430) and sister company SWR, Silencer Shop (5835), Thunder Beast Arms (2941, and Yankee Hill Machine (5940). 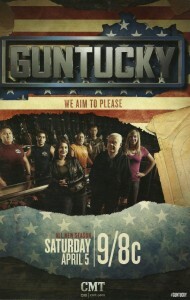 We had a chance for a quick Q&A session with some of the stars from CMT’s Guntucky. 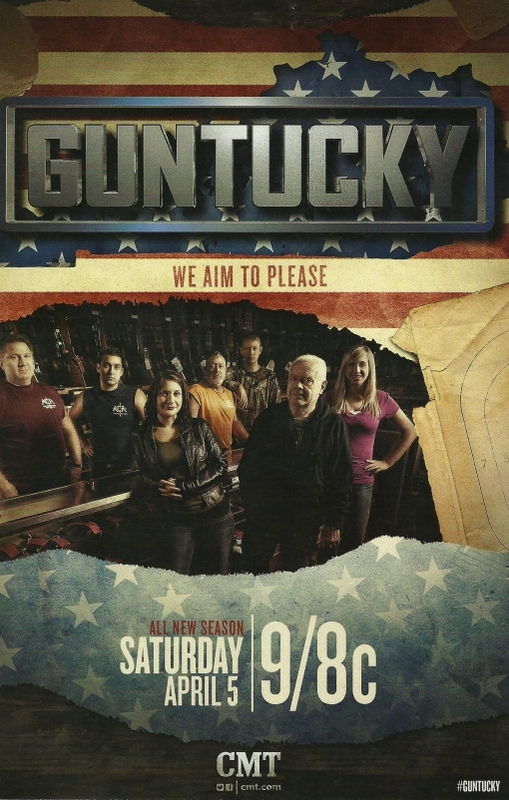 The reality series, gearing up to start their second season, focuses on the Sumner family as they run Knob Creek Gun Range in West Point, Kentucky KCR, of course, is home to the bi-annual machine gun shoot, an event that showcases some serious firepower and was featured in season one. If you missed season one, you can watch and discuss full episodes on the GunLink forums here. The 10-episode season one featured 30-minute episodes that included some pretty zany antics including exploding log cabins, Zombie Apocalypse preparations, a doomsday-ready SUV and a firearms crash course for the firearms first-timer boyfriend of Stephanie Sumner… from her dad! The bi-annual Machine Gun Shoot at Knob Creek Gun Range in West Point, Kentucky is coming up in just a couple of weeks. The three-day event, held this year on April 11, 12 and 13, draws attendees from all over the globe to the gun range outside of Louisville. Attendees can witness the spectacle of several day and night shoots as dozens of full-auto weapons sling tons (literally) of lead down range. In addition to spectating at the reserved main firing line of NFA collectors and enthusiasts, attendees can rent machine guns to shoot, compete in a number of shooting competitions and find great deals at the gun show which features hundreds of dealers and individuals from all over. General admission for the event is $15/day for adults and $5/day for children under 12. On-site camping is also available starting at $20 per person. Unlike in past years where attendees would have to worry about the weather causing issues with vehicular access to the range, the new bridge makes it virtually impossible to get flooded out. Please note that Saturday April 12 coincides with the the Kentucky Derby Festival kick-off celebration in Downtown Louisville, so plan for traffic and accommodations accordingly. 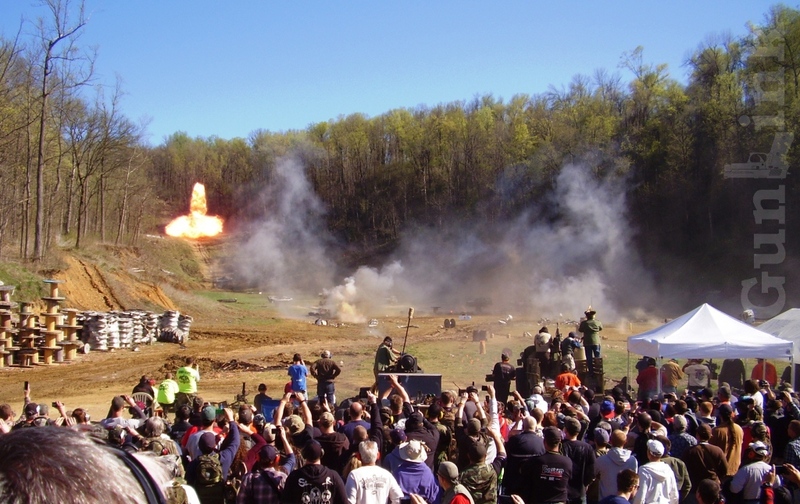 Another great turnout at the spring 2013 Machine Gun Shoot at Knob Creek Gun Range in West Point, KY last weekend. “Panic buying” still being in full swing and consumers willing to pay top dollar for guns and ammo kept prices high, so there weren’t too many great deals to be found, but it was still a lot of fun.